Very promising mare, daughter of the great mare Krít frá Miðhjáleigu and Kjerúlf frá Kollaleigu. 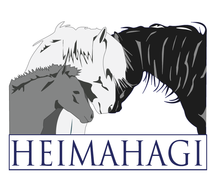 Lukka frá Heimahaga is very promising mare, daughter of the great mare Krít frá Miðhjáleigu and Kjerúlf frá Kollaleiru (8.44). 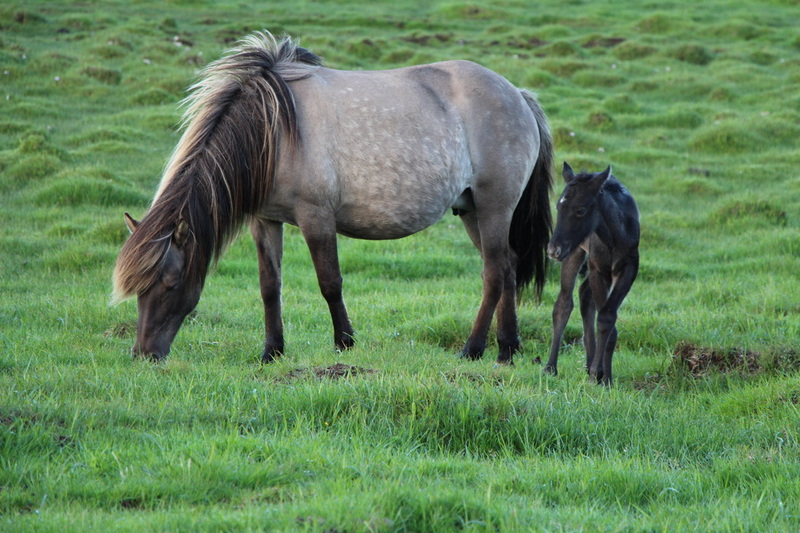 Lukka is Krít's first foal and sister of Kærleikur frá Heimahaga and Trú frá Heimahaga, same mother. 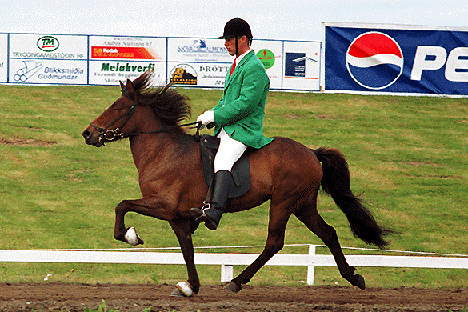 Krít frá Miðhjáleigu is an high class competition mare, that has received 8.23 for tölt in preliminaries and 8.78 for tölt in finals. In B-Class (four gait) Krít has received 8.54 in preliminaries and 9.25 in finals. Krít is amazing mare with big character and excellent temper. She is grey born chestnut. 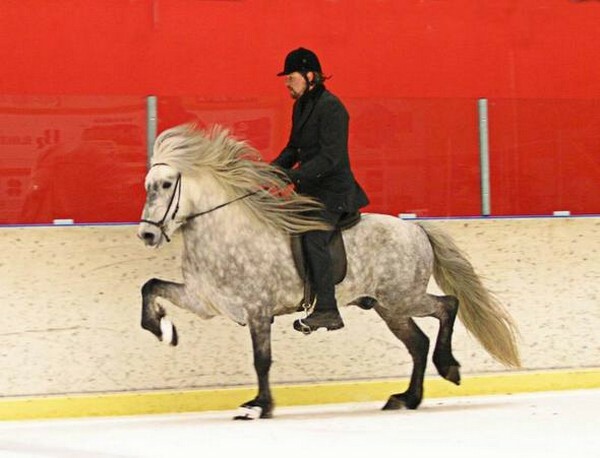 F: Hrymur frá Hofi (8.20) is a four gaited stallion that has 8.16 for Conformation and 8.23 for Rideability; 9 for tölt, 9 for trot, 9 for gallop, 8.5 for spirit and 9 for general impression. He has also 8.5 for slow tölt. Hrymur is grey, born black. FF: Skorri frá Blönduósi (8.32). 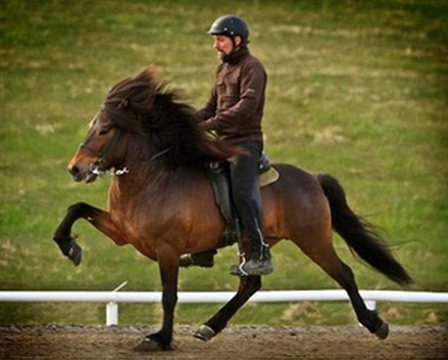 Snorri is black stallion, he has 8.23 for Conformation and 8.41 for Rideability; 9.5 for tölt, 8 for trot, 6.5 for pace, 8 for gallop, 8.5 for temperament, 8 for character and 9 for general impression. FM: Hlökk frá Hólum. Hlökk was a four gaited mare with 7.97 for Rideability; 8.5 for tölt, 9 for trot, 8 for gallop, 8.5 for temperament, 8 for character and 8.5 for general impression. Hlökk was grey, born black. 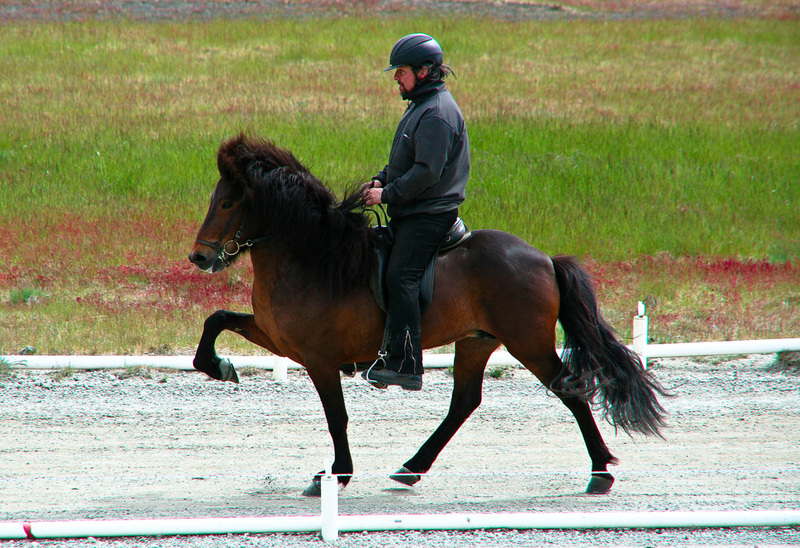 M: Dröfn frá Stað (7.81), is a four gaited mare. 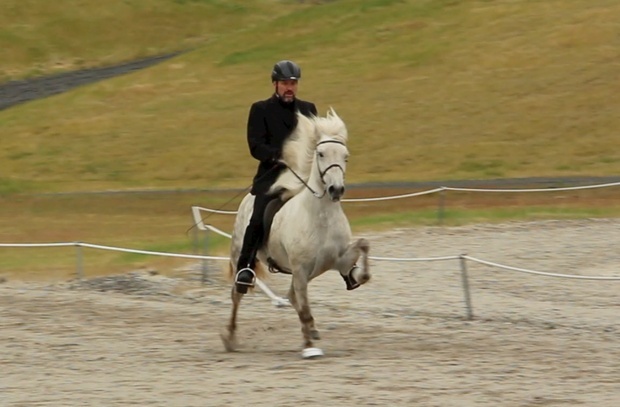 She has 7.34 for Conformation and 8.13 for Rideability; 8.5 for tölt, 9 for trot, 8.5 for gallop, 9 for spirit, 8.5 for general impression and 8 for walk. Dröfn has also 8 for slow tölt. 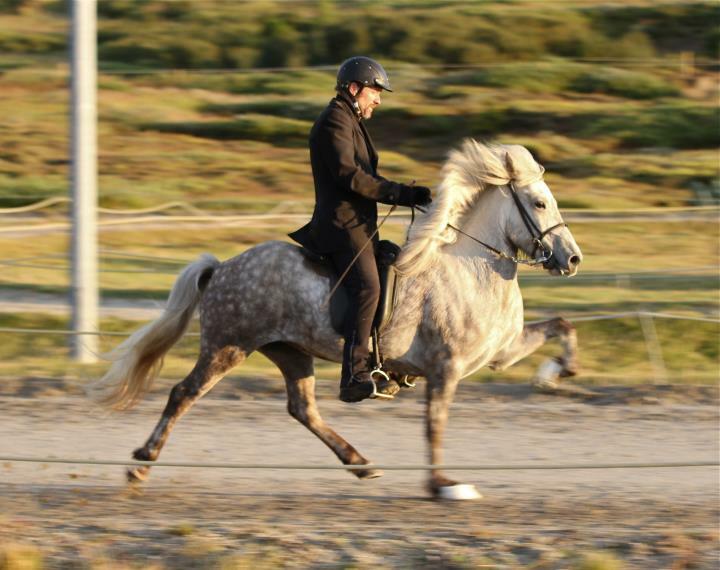 Dröfn is a great breeding mare, light blue dun (light mouse dun) with a star.​ Dröfn is owned by Heimahagi along with six other Dröfn's offsprings​. 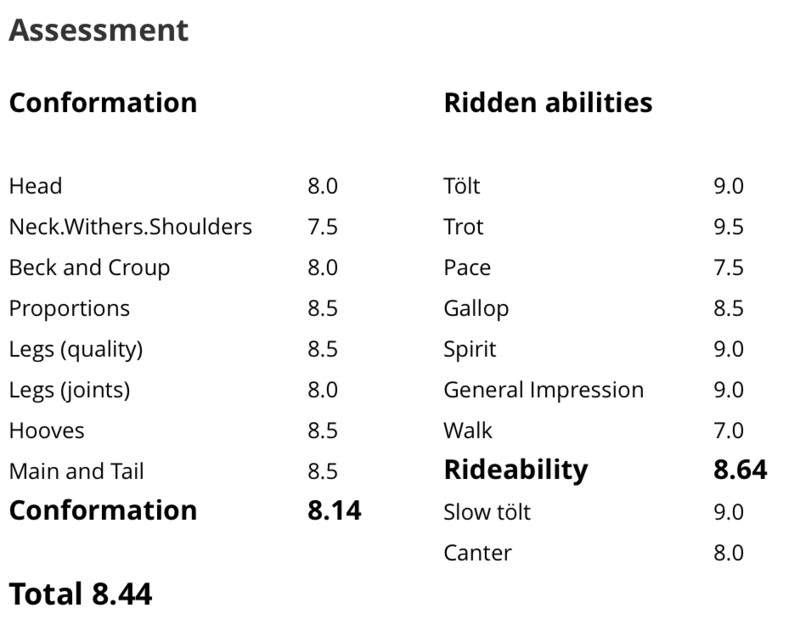 MF: Orion frá Litla-Bergi (8.09) had 7.90 for Conformation and 8.29 for Rideability; 9 for tölt, 8 for trot, 7 for pace, 8.5 for gallop, 8.5 for temperament, 7.5 for character and 8.5 for general impression. 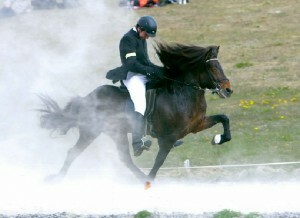 Orion was a bay dun stallion with a blaze. 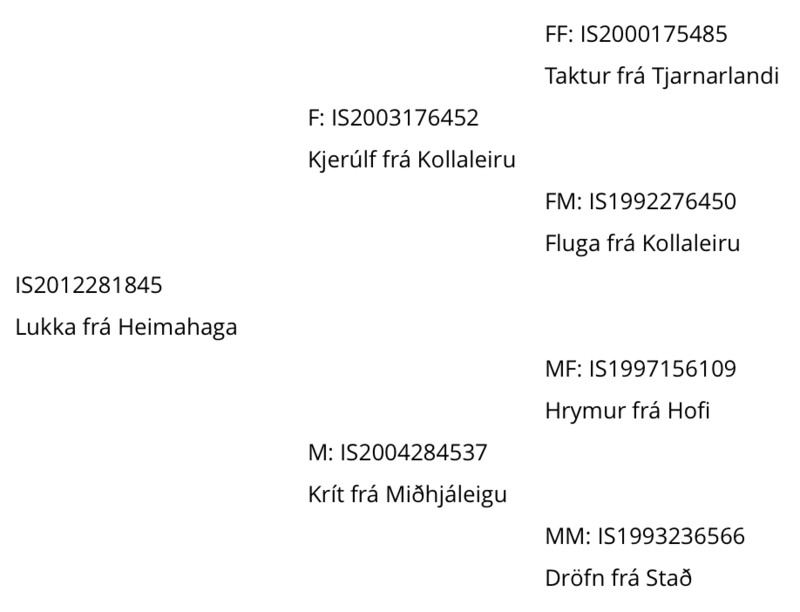 MM: Þrá frá Þingnesi. 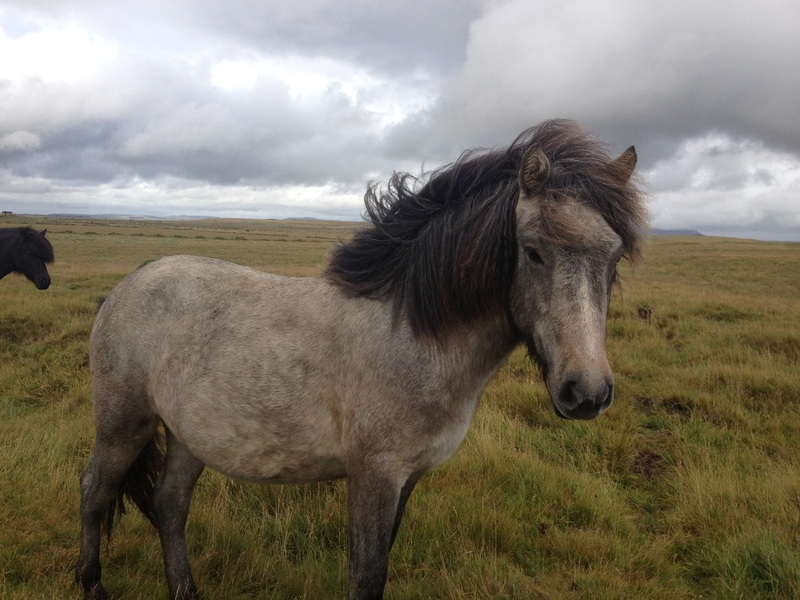 Red bay mare.